“Upma Kaur, celebrates over 22 years experience as a Holistic Esthetician with a passion for illuminating our natural beauty and vitality. Becoming frustrated with the “apply this and look better” magic bullet approach to skin care, Upma decided to create her own line. She knows that healthy, vibrant skin is both an internal and external experience, our skin is through which we touch the world and how the world touches us. Her approach is based deeply in compassion, kindness, and self-love, supporting the skin from the inside (what you drink and eat and how you think) to the outside (what you apply, express, and how you act). Effective skincare is sustainable whole-body care. When it comes to toners, I have dry skin so I am always looking for one with hydrating and soothing ingredients. 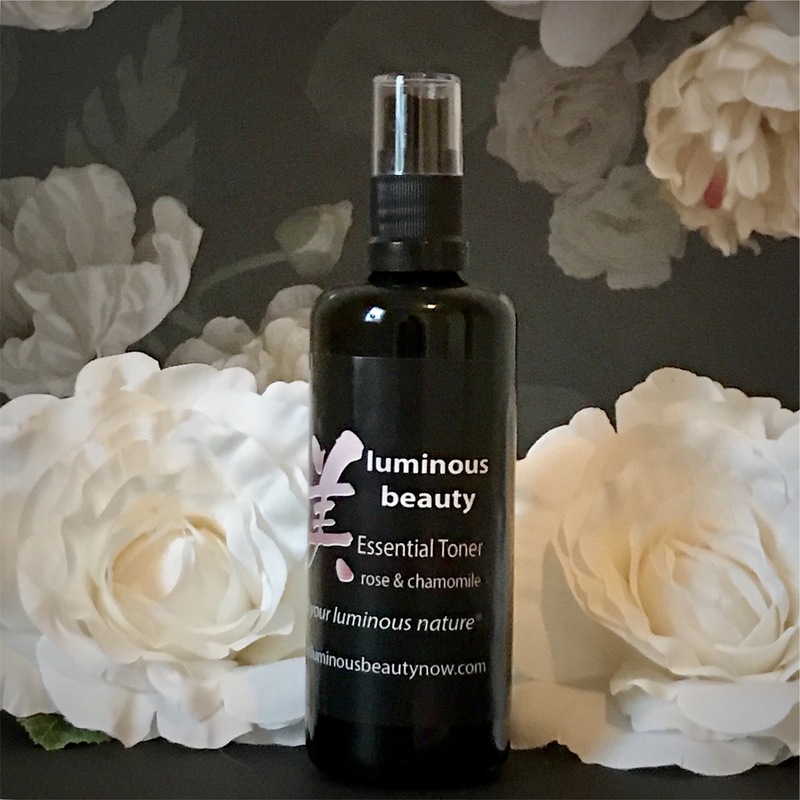 Luminous Beauty’s Rose and Chamomile Essential Toner is perfect for my skin type! Along with rose water and chamomile to nourish and calm the skin, it also contains aloe to soothe and moisturize and witch hazel to gently remove impurities. This toner does not have any added fragrances but the scent itself reminded me of fresh and tangy kombucha! The packaging is gorgeous and does indeed seem luxurious (I mean, look at it)! The sprayer itself delivers a strong and steady mist of the product, and I only needed 2-3 pumps for my entire face and neck. After using the Essential Toner, my skin felt refreshed, soothed and slightly dewy. It is perfect for wearing on a no makeup day, under a moisturizer, or even as a very light primer! 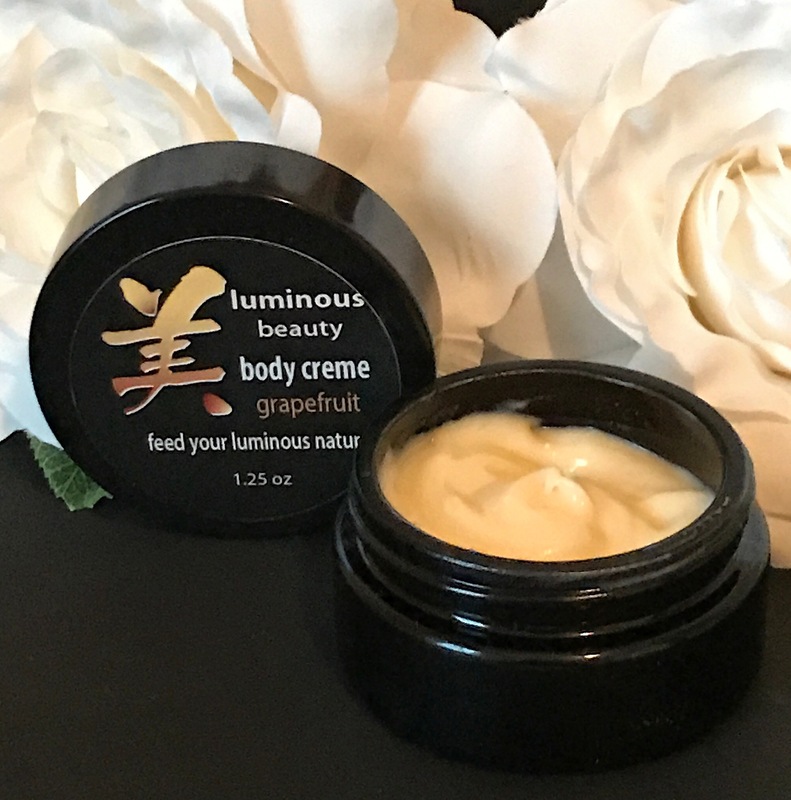 I LOVE fruity and summery scents so I was super excited to try out the Grapefruit Body Creme! The scent, oh-my-gosh the scent smells like a delicious blend of sweet grapefruit and vanilla. I would absolutely love to wear this as a perfume! The creme is thick yet works into the skin quickly without feeling oily, due to its base of Lavender Hydrosol. After just one use, my skin felt healthy, moisturized, and smelling fabulous! 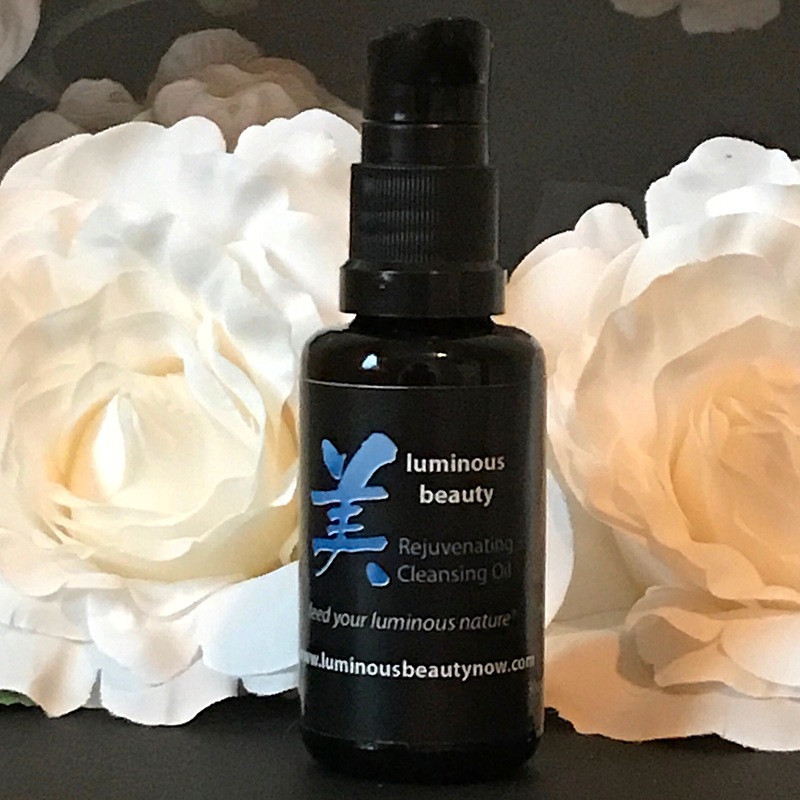 The Rejuvenating Cleansing Oil is a light blend of various oils including; Castor Seed Oil, Sesame Oil, Neem Oil along with turmeric, sage, and essential oils. It has a strong herbal scent and I only needed 2 pumps to cleanse my face. I massaged the cleanser into my skin in small circles and it quickly broke down my face and eye makeup with very little effort on my part. My skin was left completely clean and felt fresh and hydrated. I will say that if you do not enjoy using strong scents on your face, you may not enjoy this. Although the scents are due to the natural ingredients and not synthetic fragrances, I did notice that the scent stuck around for awhile on my skin. Otherwise, it worked very well and would recommend this to anyone that enjoys natural, herbal scents! Luminous Beauty creates quality products with amazing, great-for-you ingredients. These three products performed very well and I would encourage anyone to give them a try! The packaging is absolutely fantastic and would look beautiful displayed in your bathroom or vanity! I will continue to use these products because they do truly make my skin feel noursihed and cared for. Have you tried Luminous Beauty? Let me know what your favorite products are!